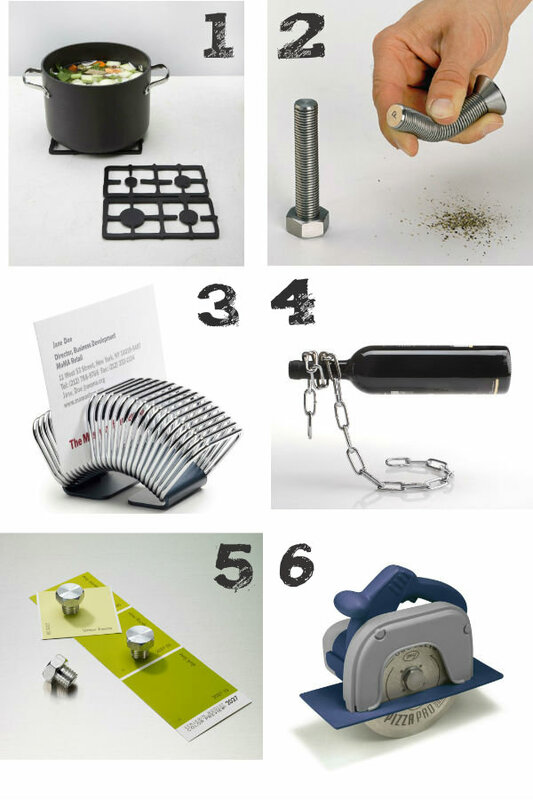 Modern Industrial design is a big trend right now in interiors. These home décor accessories give a nod to this style. They reference the elements and tools that you might find in an industrial warehouse, only with a stylish twist. The rough luxe style is all about blending raw industrial elements, furniture and accessories together with more luxurious home décor pieces. It’s juxtaposes architectural features like exposed metal beams with chandeliers. Or bare brickwork together with elegant furniture. But if you don’t want to re-decorate or strip your walls bare – these decor accessories are an easy way to channel some rough luxe industrial design chic to your dining table or home office. 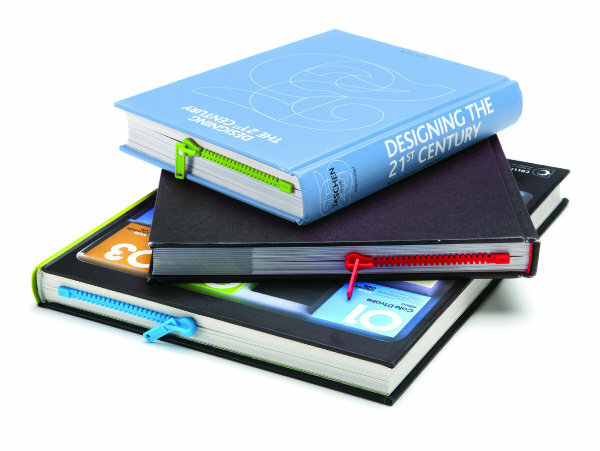 The wittily designed Zipmark Bookmark makes a great gift idea for bookworms or students. Designed to look like a zipper, it gives the impression that you could literally unzip your book to open it up. A clever illusion, it is actually a thin plastic strip sandwiched between the pages of your book. and on top of that is a slender section molded in the shape of a zip. But it will make people look twice. The retro style Stove Trivet is a cool way to protect your kitchen worktop or dining table from hot dishes. 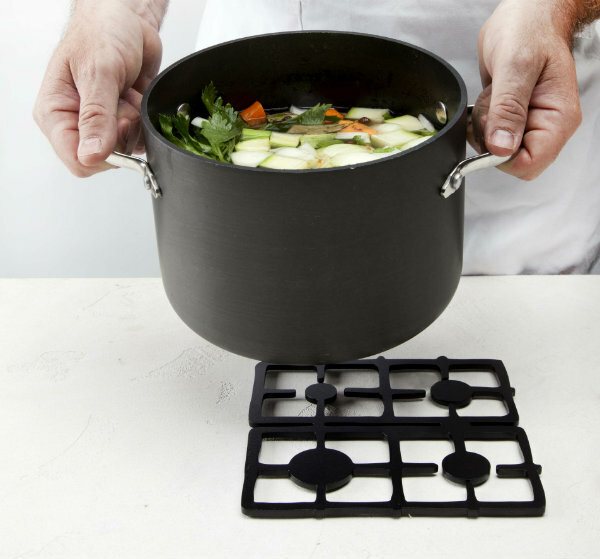 Because this original trivet is designed to look like a stove top; when you put a hot dish on it, it appears that it is still cooking. Made of galvanised metal and painted black, Stove Trivet is perfect for contemporary or industrial decor styles. Mocha is now stocking Bobble Water Bottles and Jugs. 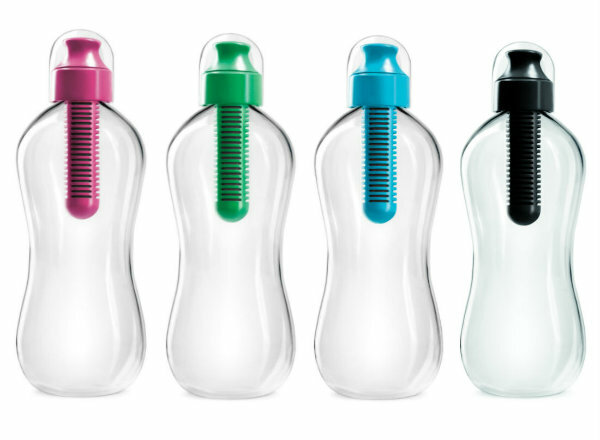 The Bobble Water Bottle is especially made to be used with tap water. 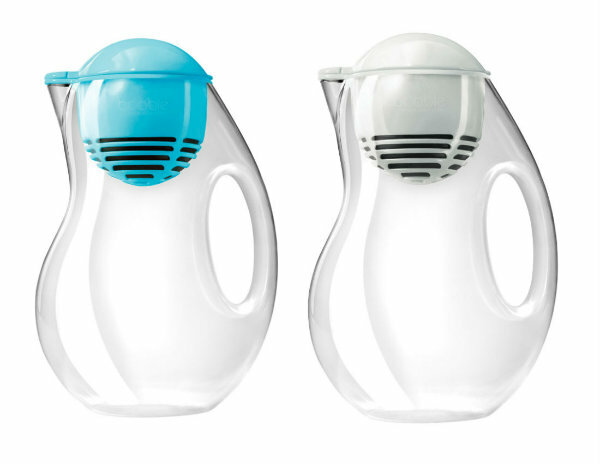 Designed by Karim Rashid, it features a built in water filter for better tasting water in an instant. It is also both more economic and environmentally friendly than drinking bottled water. And of course – far more stylish! The water bottle is available in a 550ml and 1 litre version and comes complete with the first water filter. (Which filters the equivalent of 300 single serve bottles of water). Bobble Water Bottle is made from BPA free plastic and is recyclable. Following on from the success of the water bottles, comes the Bobble Water Jug. This innovative design will filter water instantly. Which means that its design is sleeker and more streamlined than other slow filtering water filter jugs – with their bulky second reservoirs. The slim design fits easier into the fridge. Yet will still hold a capacious 2 litres of water. And its smart design makes it stylish enough to use as a serving jug on the table too. The Bobble Water Jug also comes with its first filter, that will last for approximately two months or 150 litres of water. 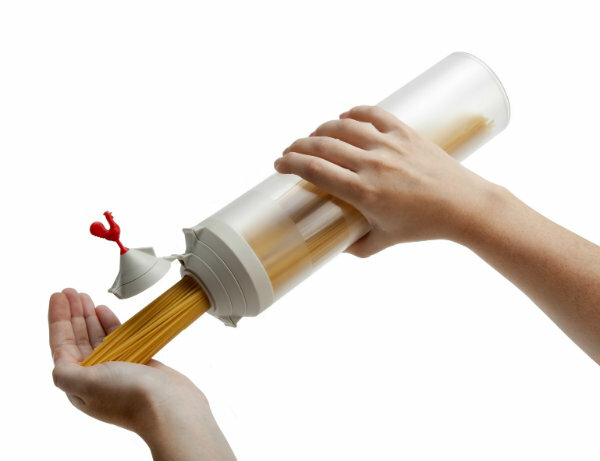 Spaghetti Tower is an innovative dispenser that not only stores your pasta – but also acts as a spaghetti measure. 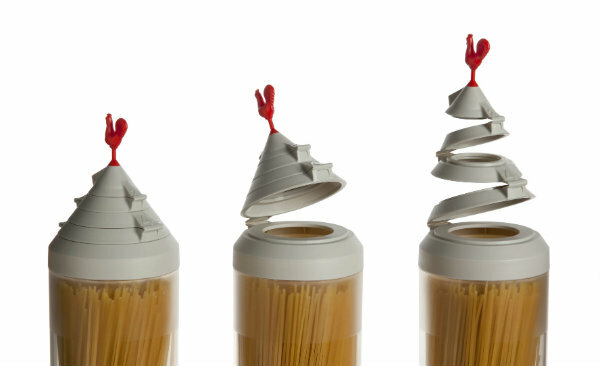 The cap has four different opening to select the quantity of spaghetti required. Select from 1 – 4 portions, then simply pour the perfect amount straight from the container. It makes it easy to measure just the right serving size and cuts down on waste. Spaghetti Tower is a FORM 2012 award winner for its innovative design.